Free Federal Public Defenders and Feds file Joint Status update in USA vs Lynch and will appear on Lynch's behalf in Federal Court on Thursday March 21, 2019. Pursuant to the Court’s March 5, 2019 order, the parties jointly submit the following status report setting forth the issues for this Court’s decision on remand from the Ninth Circuit. Following remand, the parties have met and conferred and propose the following procedure for resolution of the issues on remand. Free Federal Public Defenders filed Supreme Court Certiorari in USA vs Lynch. Federal Judge Wu approves an extension for Federal Prosecutors and a Team of Federal Prosecutors to discuss the legalities of Lynch's Section 537 Arguments. Based on the stipulation of the parties and for good cause shown, IT IS HEREBY ORDERED THAT: A status conference shall be set for 03/21/2019 at 9:00 a.m. Counsel shall file a status report by 03/19/2019 at noon. IT IS SO ORDERED. Free Federal Public Defenders and Federal Prosecutors file Joint motion for more time. Free Federal Public Defenders request an extension of time to work out deal with Federal Prosecutors who themselves are at risk of felonious violations of OMNIBUS 2018 Section 538 by continuing the 12 year Federal Medical Marijuana Prosecution of Charles Lynch. 9th Circuit Recently confirmed Lynch's conviction but also confirmed Lynch's right to a McIntosh hearing. Lynch maintains his innocense on count 1 and following state law on counts 2-5. Federal Prosecutors and Public Defenders are not affected by the shutdown. Judge Wu ordered a hearing on January 7, 2019. Lynch appeared via phone from his trialer in New Mexico while Federal Public Defenders appeared in Federal Court in Los Angeles on his behalf. Free Federal Public Defenders informed Judge Wu of making motions to Supreme Court before Section 538 Arguments. Judge Wu ordered Federal Public Defendsers to work on Section 538 Motions and the Supreme Court Motions simultaneosly saying the case is "No Spring Chicken". January 15 Free Federal Public Defenders add two new Attorneys to Lynch's team of Lawyers who will pursue the McIntosh hearing on Lynch's behalf. 9th Circuit denies Lynch's motion for hearing en banc confirming Lynch's bogus conviction for crimes he did not commit. The 9th circuit also enhanced Lynch's sentence from 1 year to the 5 year Mandatory Minimum. Lynch maintains his innocence on Count 1 and following state Law on counts 2-4. Lynch did win a McIntosh hearing to determine if he was following State Law. Also Feds unsuccessfully tried to rid of Judge Wu who has shown some compassion during the case but still allowed an innocent man to be convicted of crimes he did not commint. Free Federal Public Defenders will make a final push for Freedom and will be petitioning the Supreme Court seeking Truth and Justice in USA vs Lynch. Lynch has been under federal Prosecution for 4300 days. Meanwhile more than half the entire nation operates in Felonious violation of Federal Law as Marijuana remains totally and completely illegal under Federal Law. Lynch knew marijuana was Schedule I and opened his dispensary anyway, Lynch falsely believed the 10th Amendment to the Constitution applies to Medical Marijuana it doesn’t, Judge Wu errored in applying safety valve, mandatory minimum applies to Lynch under the leader clause, calls to DEA prove Lynch knew marijuana was Schedule I. Yours truly 9th Circuit Court of Appeals. CATO Institute and the National Association of Criminal Defense Lawyers file an Amicus Brief in support of Lynch getting a rehearing en banc in the 9th Circuit Court of Appeals. In a recent decision in USA vs Lynch the 9th circuit errored by confirming Lynch's conviction and imposing a 5 year Mandatory minimum sentence. Lynch Maintains his innocence on Count 1 and State Authorization on counts 2-5. Lynch also maintains the truthfulness of his calls to the DEA. One Judge in the recent decision dissented saying Lynch did not get a fair trial siting recent Jury Nullification precedents. The CATO and NACDL are focusing in on the Jury nullification issue asking for a rehearing en banc from 11 Judges. Mr. Lynch’s case perfectly illustrates why jury independence is both a necessary and a proper feature of our criminal justice system. Even assuming Lynch’s prosecution and conviction were technically lawful,3 they were manifestly unjust. The irreducible core of Lynch’s Sixth Amendment right is that “a court should not state or imply that (1) jurors could be punished for jury nullification, or that (2) an acquittal resulting from jury nullification is invalid.” Kleinman, 880 F.3d at 1032. The panel decision impermissibly trespasses on that core constitutional right. Free Federal Public Defenders file for a rehearing en banc. Lynch states that The 9th Circuit decision of September 13 2018 was riddled with error and misinterpretation. The mis-interpretation of Lynch's Entrapment by estoppel defense, the 9th's error in applying recent Jury Nullification precedents and error in applying Section 538 relief are key in Lynch's filing. Lynch also asserts his 10th amendment rights and raises 6th Amendment arguments relating to Jury Nullification. Lynch maintains his innocence on Count 1 and had State Authority on Counts 2-5 and is protected by the 10th Amendment and Section 538. 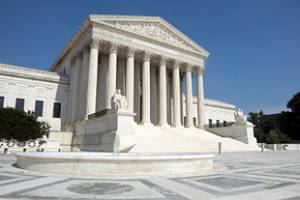 An amicus brief from a well-respected, national organization that regularly files amicus curiae briefs in the federal circuit courts and U.S. Supreme Court is expected to follow in 10 days. Along the way, the majority created a host of inter- and intra-circuit splits, and strayed from binding Supreme Court precedent. Specifically, the majority’s anti-nullification decision directly conflicts with United States v. Kleinman, 880 F.3d 1020 (9th Cir. 2018) (as amended), which only months ago denounced a materially-indistinguishable instruction as unconstitutional. And its ruling that the DEA’s assurance needed to be express, not implied, cannot be squared with Cox, Raley, United States v. Batterjee, 361 F.3d 1210 (9th Cir. 2004), and United States v. Abcasis, 45 F.3d 39 (2d Cir. 1995), which each held otherwise. This Court should grant rehearing to resolve these significant conflicts. Lynch’s closely watched prosecution, which has drawn nationwide attention, is precisely the right case in which to address these issues of exceptional importance. In a forceful dissent, Judge Watford traced the “ancient roots” of jury nullification, and explained the court’s instruction “went too far” by coercing jurors to abandon their role as the community’s conscience. Id. at 1087 (Watford, J., dissenting). He recognized that Lynch’s case is on all fours with Kleinman—indeed, it presents a stronger claim for relief. Id. at 1088-90. Because the improper instruction violated Lynch’s right to jury trial, Judge Watford would have reversed. Id. at 1087. Free Federal Public Defenders file for an 2nd Extension of 14 days to file for a rehearing en banc. Lead council Alexandra Yates noted she is also lead council on USA vs Dylann Storm Roof. Yates went on to explain she has been in communication with a well-respected, national organization that regularly files amicus curiae briefs in the federal circuit courts and U.S. Supreme Court. This organization has confirmed it's intention to file an amicus brief in support of Lynch’s PFR/EB for this Court’s consideration, but has asked for a fourteen-day extension to allow sufficient time to do so. The name of the organization will be withheld until after the brief is filed. The Extension has been granted. Free Federal Public Defenders file for an Extension of 30 days to file for a rehearing en banc. The deadline for seeking rehearing en banc is 14 days from yesterday. However, Public Defenders will need a short extension to prepare a quality petition. There is no way to know how long that process will take. If the court denies the petition, that could take anywhere from one to several months. If the court grants the petition, it will schedule a new argument for an 11-member court, likely several months out, and then the new decision could take anywhere from a month to a year. Once the rehearing process is over, whichever side loses can petition for the Supreme Court to hear the case. The petition must be filed within 90 days from the end of Ninth Circuit proceedings. Again, that process can take many months, depending on the Court’s level of interest. Only after Lynch is done in the Ninth Circuit and the Supreme Court, does he go back to the district court for the McIntosh hearing, where Judge Wu would determine his compliance and its legal impact on Lynch's case. If the court finds the appropriations rider doesn’t apply to Lynch, and if Lynch's conviction still stands, at that point he would be resentenced. As you can see, there remains a lot of litigation ahead. Public Defenders hinted at some possible help for Lynch by saying they 'need time to consult with possible amici who have expressed interest in the case' saying no more than some professors who wrote on jury nullification before. The 9th Circuit Court wrote a published decision confirming Lynch's conviction on the fact that Marijuana is illegal under Federal Law and Lynch knew it. They also increased Lynch's sentence from 1 year to a 5 year mandatory minimum. One judge diseented on the Jury Nullification issue calling for a new trial. Lynch had three judges in this hearing one from the 6th Circuit. Free Federal Public Defenders say they will petition the court for a rehearing with more judges. The court declined to rule on Section 538 and also remanded the Section 538 arguments to district court for hearing. Lynch confirmed that the US Judicial system is discriminatory when it comes to marijuana. If an innocent man can be convicted of crimes he did not do while being shamed, jailed and orsticized for marijuana a Schedule I Drug under Federal Law but legal under State Law then there is a no real justice for all. The 9th Circuit Court of appeals has still not made any decisions in USA vs Lynch. 75% of the Video from the Final Arguments has been lost by the 9th Circuit. Here is a link to all that remains. (13:43) Yates: Someone has to monitor this case, expenditures have to happen and that is unlawful under the Anti Deficiency Act and the Constitution in fact every time its actually done it’s a felony. (33:40) Has gov waived question of harmlessness on the Jury instructions? (35:30) Kowal Rider Kowal says Lynch did not comply by state law. (43:37) Bybee Did Lynch violate California State Law in regards to minors? No. (44:00) Kowal Two theories of how Lynch violated state law. 1. There was no joint ownership..
2. Judge Bybee "Joint Ownership"
(45:00) Waters: Is BOP covered by the Rider? (49:47) Bybee "Is it clear we have the power to enforce the Anti Deficiency Act?" (51:11) Bybee: Is there a Chevron issue here? (55:13) "He is the Poster Child for Medical Marijuana"
The Three Judges in the Video to decide USA vs Lynch from left to right 6th Circuit Judge John M. Rogers(sitting by designation) Ninth Circuit Judges Jay Bybee and Paul J. Watford. 2:32:12 Bybee: Did Lynch violate California State Law in regards to minors? It is clear Federal Prosecutors used Counts 2 and 3 Distributing and Conspiracy to Distribute to Minors to defame and persecute Lynch knowing all along he was in compliance with State Law. During the final arguments the Government admits Lynch did not violate State Law in regards to Minors. The 9th Circuit Court of appeals has set a date for Final Oral Arguments in USA vs Lynch. The hearing is to be on Friday April 13 in Pasadena California 9:00am. This is a public hearing so all are invited to fill the courthouse. UPDATE: 4-03-2018 Three Judges Named to decide USA vs Lynch. The Judges are Ninth Circuit Judges Jay Bybee and Paul J. Watford, and 6th Circuit Judge John M. Rogers(sitting by designation). Lynch just wonders how the heck he can get a 6th circuit judge in a 9th Circuit court? In a remarkable flip flop the 9th Circuit Court of appeals has revised it decision in USA vs Kleinman that will have a major impact on Jury Nullification. An Amicus Brief filed by Federal Public Defenders on behalf of Charles Lynch help pursuad the 9th Circuit to reverse it's decision. During Lynch's trial, Jury Nullification became an issue when one juror expressed willingness to nullify. The Court quickly ejected the juror from the panel and anti nullification instructions were given to the jury. Although this new ruling does not save Kleinman from 17 years in Federal Prison as his non-compliance with State Law was clear, This new ruling does change the language of the opinion in a way that is helpful to the jury anti-nullification instruction issued in Lynch's trial. We determined in McIntosh that § 542 can prohibit continued DOJ expenditures even though a prosecution was properly initiated prior to § 542’s enactment, see id. (“The government had authority to initiate criminal proceedings, and it merely lost funds to continue them.”), and the same reasoning applies to continued expenditures on a direct appeal after conviction. We conclude that the district court erred by instructing the jury that “[t]here is no such thing as valid jury nullification,” and that it “would violate [its] oath and the law if [it] willfully brought a verdict contrary to the law given to [it] in this case.” However, because there is no right to jury nullification, the error was harmless. We find that Kleinman’s remaining challenges on appeal are without merit, and AFFIRM his conviction and sentence. Click here for the 9th Circuits Ruling. Federal Prosecutor David Kowal has written a letter to the 9th Circuit Court of appeals saying: "I am handling the government’s oral argument this matter, as I am the lead drafter of all the government’s briefing as well as the only trial counsel still working for the government." Apparently this Federal Prosecutor is so tired he can't even get a sentence right much less a 5 year mandatory sentence. "...ON THIS MATTER..." and of all Government's breifing"s" :) Go figure that! Can I get a dismissal now? I am handling the government’s oral argument this matter, as I am the lead drafter of all the government’s briefing as well as the only trial counsel still working for the government. Click here for the Prosecutor's Letter. Despite objection from Lynch the 9th Circuit court of Appeals has accepted the US Government's final brief in USA vs Lynch. Lynch objected to the final brief on numerous grounds including the fake claim by the Government that Lynch waived his right to a Section 542 argument. This is possibly the final word in USA vs Lynch and now the 9th Circuit will have to decide a number of important issues ranging from jury nullification, fair trials with affirmative defenses and whether Appropriations Rider Section 542 arguments are valid in this case. The Government is seeking a 5 year sentence on a fake Conspiracy charge alleging Lynch sent his employee to sell on the street. Lynch maintains his innocence in this unjust and fake charge: Government prosecutors are liars, "I did not send Abe Baxter to sell on the street." The US Government has spent over $5,000,000 and 10.5 years prosecuting just this one medical marijuana case. Imagine the money being wasted nation wide on this montrosity of injustice." Appellee’s opposed motion (Docket Entry No. 163) to file an oversized fourth brief on cross-appeal is granted. The Clerk will file the fourth cross-appeal brief submitted at Docket Entry No. 164. Click here for the 9tch Circuit's decision. October 2, 2017 Free Federal Public Defenders file Amici Curiae Brief in USA vs Kleinman. Federal Public Defenders of more than 10 states, 14 9th Circuit districts, have filed an Amicus Brief in USA vs Kleinman. The issue at hand is Jury Nullification. In a California Medical Marijuana Federal Prosecution Kleinman's jury was instructed that Nullification is not an option. Kleinman got 17 years in Federal Prison. Where as a Supreme court ruling has since determined otherwise. The Amicis Brief is calling on the 9th Circuit to fix the error it created when not giving Kleinman the right to Nullification. This is important in USA vs Lynch as Lynch is claiming in his final brief he was denied a fair trial by jury manipulation and coercion. For example During Lynch's trial one juror mentioned Jury Nullification during proceedings and the oourt room was cleared and the Juror reprimanded and removed from the jury pool. The Ninth Circuit Defenders have amassed significant experience related to the anti-nullification-instruction issue presented in the petition for rehearing. They expect the Court’s decision on this matter to impact instructions in every federal criminal case in the Circuit where the possibility of nullification arises. 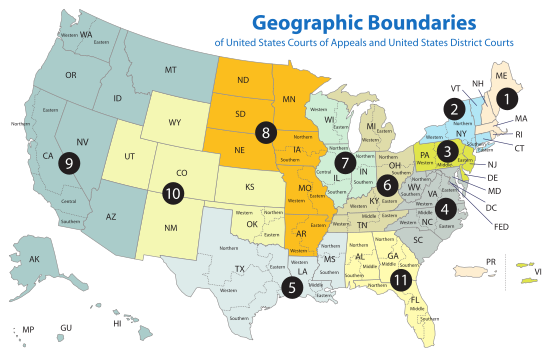 As the institutional defenders for the fourteen districts of the Ninth Circuit, the Ninth Case: 14-50585, Crcuit Defenders have a unique interest in, and a well-developed perspective on, the issue presented in this case. Click here for the Circuit Defender's motion. September 26, 2017 Free Federal Public Defenders file Opposition to Government's Final Oversized Brief. Charles Lynch via his Free Federal Public Defenders filed an opposition to the Government's Oversized Final Brief. The Government is falsely claiming that Lynch waived his right to a Section 542 argument. The government’s request (included in Docket Entry No. ) that the court “strik[e] defendant’s attempt to incorporate its motion [Docket Entry No. ] argument in its oversized brief, and rule that defendant has abandoned any arguments with respect to that motion” is referred to the panel assigned to consider the merits of this appeal for whatever consideration the panel deems appropriate. Click here for Lynch's Motion. Government Prosecutors file oversized Final Brief and Request to file Oversized brief against Lynch. US Government trying to deny Lynch his right to a Section 542 argument saying that he has abandoned any arguments from his prior motions. huh? Given the three years of delay in filing the third brief and the asserted violations of court rules and orders, the government requested a ruling in advance of the government’s fourth brief that defendant had abandoned any arguments from his prior motions on the rider, and that the government need not respond to it. Also Federal Prosecutors focusing in on 5 year mandatory minimum sentence and getting rid of the Judge Wu who sentenced Lynch to only 1 year. The government’s fourth cross-appeal brief address three issues. The first two were issues originally part of the cross-appeal in this case: the government’s challenge to the district court’s sentence, and a request for reassignment on remand..And..The final portion of the government’s brief (Section II.C.) is 10,300 words, approximately 52 pages. It responds to a new issue raised in defendant’s third cross-appeal brief regarding a Congressional appropriations statue that was passed while this appeal was pending. The Government contends in the final brief Lynch did not comply with California State Law and should get the Mandatory 5 year minimum sentence. Even the presence of other leaders or actors above a defendant in the criminal hierarchy presents no bar to application of an enhancement to a defendant who helped organize a crime or supervised some criminal participants. The government does not contend that the district judge was biased, only that “unusual circumstances” warrant reassignment here. Click here for the Government's Request for Oversized Brief. Click here for the Government's Oversized Brief. September 1, 2017 9th Circuit Court of Appeals reverses previous order and accepts Lynch's oversized brief. Lynch’s motion (Docket Entry No. ) to file an oversized third cross-appeal brief is granted. Federal Prosecutors are trying to have Lynch's Section 542 arguments removed from the Final Brief, so a Panel will be convened to determine the merits of the request. Click here for the Court's ruling. August 25, 2017 9th Circuit Court of Appeals denies Lynch's oversized brief ordering a rewrite. On or before September 1, 2017 appellant shall file a substitue brief not to exceed 24,000 words. Any arguments not raised in the brief may be deemed waived by the panel. The clerk will strike Lynch's third cross appeal brief. Free Federal Public Defenders scrambled to file an extension to the hasty decision which would require a rewrite in 7 days. This is, frankly, ridiculous. I actually spoke with a higher-up at the Ninth Circuit who agrees. But there isn't really anything we can do about it. So I am going to work on the revisions over the next couple of weeks and plan to file on Sept 15. Please see the court's order and the extension request I just filed. Click here for the Court's ruling. Click here for Free Federal Public Defenders request for extension to file. Free Federal Public Defenders fire back with a reply to opposition. Click here for the Government's filing. Click here for the Response from Charlie's Federal Public Defenders. Free Federal Public Defenders file for extension to file Final Appeal Brief until May 15, 2017 (ccl's 55th birthday) while they work on Section 542 Motions. Click here for the request. Click here for latest info on the Section 542 Motion. February 14, 2017 9th Circuit Court of Appeals grants Extension to file Final Brief until April 5, 2017. Federal Public Defenders are working on Section 542 motion to the 9th Circuit. Click here for the docket. Click here for latest info on the Section 542 Motion. February 13, 2017 Charles Lynch's Federal Public Defender filed Opposition to Government's opposition to an Extension of Time to File final Brief to the 9th Circuit Court of Appeals. Federal Public Defender Needs time to work on the Section 542 motion to the 9th Circuit. Click here for the request. Click here for info on the Section 542 Motion. February 10, 2017 Marijuana hating money slinging Federal Prosecutor Dave Kowal files opposition to Lynch's latest motion for Extension of time to File Final Brief to the 9th Circuit Court of Appeals. The Prosecutor wants Lynch's Section 542 Motions and Appeal Brief all filed with Lynch's Final Brief to the 9th which is separate from Lynch's Section 542 motions. Lynch wants the Section 542 Motion resolved first which may nullify the entire case. Click here for the request. Click here for info on the Section 542 Motion. February 7, 2017 Charles Lynch's Federal Public Defender requests time for extension to file Final Brief to the 9th Circuit Court of Appeals until Charlie's 55th Birthday May 15, 2017. Needs time to work on the Section 542 motion to the 9th Circuit. Click here for the request. Click here for info on the Section 542 Motion. Feburary 7, 2017 Charles Lynch's Federal Public Defender requests time for extension to file Final Brief to the 9th Circuit Court of Appeals until Charlie's 55th Birthday May 15, 2017. Needs time to work on the Section 542 motion to the 9th Circuit. Click here for the request. Click here for info on the Section 542 Motion. August 16, 2016 Charles Lynch's Federal Public Defender requests time for extension to file Final Brief to the 9th Circuit Court of Appeals until November 14, 2016. Click here for the request. June 17, 2016 Charles Lynch's Federal Public Defender requests time for extension to file Final Brief to the 9th Circuit Court of Appeals until August 16, 2016. Click here for the request. Click here for the court document granting the request. April 14, 2016 Charles Lynch's Federal Public Defender requests time for extension to file Final Brief to the 9th Circuit Court of Appeals until June 17, 2016. Click here for the request. Click here for the court document granting the request. February 10, 2016 Charles Lynch's Federal Public Defender requests time for extension to file Final Brief to the 9th Circuit Court of Appeals until April 18, 2016. Click here for the request. Click here for the court document granting the request. November 13, 2015 Charles Lynch's Federal Public Defender requests and is granted time for extension until February 17, 2016. Click here for the request and click here for the court order granting the extension. September 29, 2015 Charles Lynch assigned a new Public Defender. Jonathan Libby will be handling Lynch's third cross-appeal brief. August 26, 2015 9th Circuit Court of Appeal grants request for extension with disfavor for any more extensions. The Final brief is now due November 19, 2015. Click here for the Document. August 14, 2015 Lynch's Federal Public Defender files Motion for Extension of Time to file the Final Brief to the 9th Circuit Court of Appeals. Current Public Defender taking 6 month maternity leave and passing case to new Appellate Attorney who is still to be named. Click here for the Document. June 5, 2015 Lynch's Federal Public Defender files Motion for Extension of Time to file the Final Brief to the 9th Circuit Court of Appeals in Regards to Pending Embanc Hearing Motion. Click here for the Document. March 5, 2015 Lynch's Federal Public Defender files Motion for Extension of Time to file the Final Brief to the 9th Circuit Court of Appeals. Click here for the Document. February 24, 2015 Lynch files motion to 9th Circuit Court of Appeals based on new 2015 Federal Spending bill that prohibits Department of Justice from spending money to circumvent state marijuana laws. Click here for the motion. February 24, 2015 Lynch's motion to the court exceeded court paper count standards so Lynch filed a request to file an oversized brief. Click here for the request. November 11, 2014 9th Circuit Court of Appeals approves Lynch's request for more time to file the final brief. Lynch's Final Brief to the 9th Circuit Court of Appeals is now due March 12, 2015. Click here for the document. November 5, 2014 Lynch's Federal Public Defenders file Extension of Time request to file final brief to 9th Circuit Court of Appeals. The Government was unopposed to the request. Click here for the document. May 6, 2014 9th Circuit Court of Appeals accepts Lynch's 6 month extension request. Click here for the document. Lynch's final Brief to the 9th Circuit will be due on November 12, 2014. May 5, 2014 Lynch's Federal Public Appellate Attorney Alexandra Yates files for 6 month extension in order to file Lynch's final brief to the 9th circuit Court of Appeals. Click here for the document. April 11, 2014 9th Circuit Court of Appeals accepts Government's oversized brief. Click here for the document. March 15, 2014 Government tries filing oversized brief again demanding judge Wu be recused from the case and Lynch get 5 year mandatory minimum. Also Government states that Lynch case is now pertinent in another case USA vs Jason Washington. Click here to read the document. January 23, 2014 9th Circuit grants government 9th extension frowning upon any more extensions of time. Asks government to give 1 extension request instead of a bunch of short ones...Click here for the email document. January 21, 2014 Government files for extension of time to reduce size of oversized brief. Click here for the document. January 10, 2014 Lynch's lead Federal Public Defender, Reuven Cohen, has resigned. Lynch's case will stay in the hands of the Federal Public Defenders Office. Alexandra Yates is the lead Appellate Attorney respresenting Lynch in his Appeal to 9th Circuit Court of Appeals. Reuven Cohen has ventured his own firm in Downtown Los Angeles and is offering his services pro bono as the Lynch case moves forward. "Meanwhile in Colorado..."
December 31, 2013 Government Motion for Oversized Brief Denied. The government tried to submit a brief against Lynch that was 42,360 words. Lynch's Appellate Team submitted a 20,450 word brief. The Appellate Commissioner DENIED the Government's request to file the oversized brief. The Government must rework the brief so that it does not exceedq 28,000 words. No government shutdown in the Lynch Federal Medical Marijuana appeal as the Government has filed 9th Circuit Court of Appeals request for 'oversized brief' along with the massive propagandistic document. Click here for the Oversized Brief Motion and click here for the Oversized Brief. Basically 8 pages of Legal Lies explaining the need for the other 212 pages of even more Legal Lies. This is your Federal Tax Dollars hard at work. In this brief the Government has apparently got the OK from Washington DC to continue the Government Appeal of Lynch's one year sentence demanding 5 years instead. Only the Current US Solicitor General can decide what appeals the government will pursue. It appears President Obama is OK with all this waste of money and a good man's life despite the changes occurring across the country regarding cannabis, mandatory minimums and new government policy statements. Click here for the extension request. September 27, 2013 Government files sixth extension of time. Click here for the Government's unopposed request for extension of time to file brief. In this document the Government lays out some excuses about being over loaded with other cases, Lynch's delay of trial tactics he has used and court house rumors regarding Judge Wu's off the record statements about the Lynch case. September 3, 2013 Government files for fifth extension of time. Click here for the Government's unopposed request for extension of time to file brief. In this document the Prosecutor rants about having Judge Wu recused from the Lynch case after making statements off the record pertinent to the Lynch sentencing phase of the trial. August 1, 2013 Government files for fifth extension of time. Click here and here for the Documents. "...the parties have been engaged in significant negotiations in an attempt to settle this matter...I have thus been instructed to temporarily suspend work on the government's brief until those negotiations are complete in the effort to save resources, a benefit of any potential settlement." "The government’s brief currently is currently due June 5, 2013." "I am eagre to complete the government's brief in this matter, and have made substantial progress in doing so since the government's last extension request, but need the requested time to properly represent the government for the reasons set forth herein." March 1, 2013 Government files for third extension of time. The second cross-appeal brief is due June 5, 2013. The third cross-appeal brief is due July 5, 2013. The optional reply brief is due within 14 days after service of the third cross-appeal brief. Click here and here for the Documents. December 12, 2012 the Government filed for 75 day extension of time to reply to Lynch's Appeal. Click here for the Document. August 9, 2012 the Government filed for a 120 day extension of time to reply to Lynch's Appeal. Click here for the Document. July 17, 2012 Americans for Safe Access and a Group of Lawyers filed Amicus Briefs in support of Lynch's Appeal. Click here for the ASA Document. Click here for the Group of Lawyers Document. July 3, 2012 Lynch filed the official documents for Appeal to the 9th Circuit Court of Appeals. Click here to view the Document. April 4, 2011 the 9th Circuit Court of Appeals granted a forth extension for documents to be filed in Lynch's appeal. Lynch is represented by the Federal Public Defenders Office in Los Angeles. Lynch now has an Appellate Attorney who is preparing his appeal to be heard before the 9th Circuit. The new date is set for June 20, 2011. Click here for the Court Schedule. June 3, 2010 Lynch was advised that an appeal court hearing has been set for September 7, 2010. Click here for the Court Schedule. May 27, 2010 Government prosecutors re-filed their cross appeal. They want Lynch to get 5 years instead of the one year one day Judge Wu sentenced him to. Government prosecutors must receive permission from Washington to file such a motion so this implies that Eric Holder and President Obama are not upholding their 'new policy' to not prosecute medical marijuana providers who are in compliance with State Law. May 6, 2010 Lynch re-filed an Appeal with the 9th Circuit Court of Appeals. Lynch is appealing his sentence and conviction. April 29, 2010, after a 10 month wait, Judge Wu issued his final Sentencing Memo. Click here to read the memo. February 12, 2010 Andre Birotte was confirmed as the new US Attorney for the Central District of California. This is the office in charge of prosecuting Charles C. Lynch. Birotte is Obama's choice to run the office replacing Bush appointees. Click here for the Story. February 10, 2010 Government Prosecutors filed a second motion telling Judge Wu to hurry up with the final commitment and judgment order. Click here to read the document. October 27, 2009 California Senator Sam Farr introduced the Truth in Trials act to congress. The Bill would allow a State Medical Marijuana defense during a Federal Trial. Click here to read the story. Click here to read the Bill. October 19, 2009 the Obama Administration issued a new Federal Government Policy regarding Medical Marijuana. Click here to read the new policy. Click here to read the new policy. October 9, 2009 Government Prosecutors filed a motion telling Judge Wu to hurry up with the sentencing document so that the Government can appeal the one year one day sentence Lynch received because they still want Lynch to get five years. Click here to read the document. August 18, 2009 the 9th Circuit Court of Appeals dismissed the Lynch and Government Appeals because Judge Wu had not yet issued his written judgment. Both appeals were dismissed without prejudice meaning they can be refiled at a later date. Click here to read the document. July 13, 2009 the Federal Government filed a notice of appeal. The government intends to appeal Lynch's one year sentence demanding the 5 year mandatory minimum. It is common practice that in order for the government to appeal they must contact the main Department of Justice office in Washington to get approval. It is assumed at this point that the DOJ has authorized the local prosecutors to continue to persecute Charles C. Lynch. Click here to read the document. Monday June 15, 2009 Lynch's Federal Public Defenders filed a Notice of Appeal. Lynch intends on appealing his conviction and sentence to the Ninth District Court of Appeals. Lynch is currently out on bail pending appeal. Click here to view the Notice of Appeal.